The OzHead Hair Dryer, has been designed and built to exacting standards for both home and professional salon use. It's lightweight (0.6kg), easy to handle and is a massive 2000W to give you all the power you need for exceptional styling results. 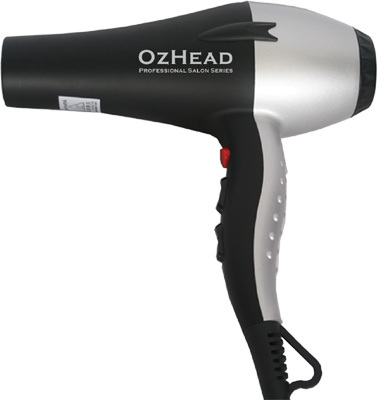 The OzHead Dryer also comes with variable heat control with 4 heat settings variable speed control, additional concentrator nozzle attachment, teperature safety control, long 2.5M power cord and its own gorgeous satin carry case for travelling. This dryer is also built to last. With it's AC Johnson Motor it has an estimated 1500 hour lifetime and comes with the OzHead Three Year Replacement Warranty* for complete peace of mind. All OzHead products come with a FULL 14 day money back guarantee, if you are not 100% satisfied with your purchase. OzHead is Australian Owned & Operated.